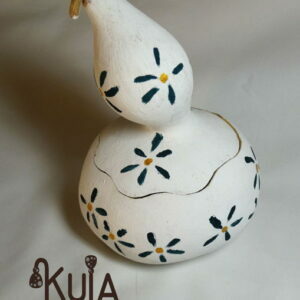 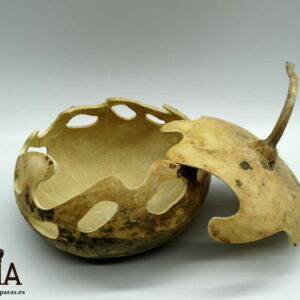 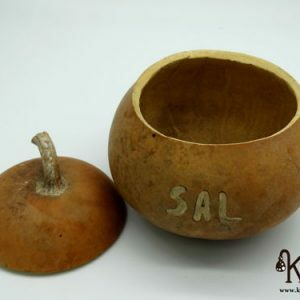 These handmade gourd cups are made by joining different pieces of gourd, to give the shape of a cup that particularly remind me of the cups of the film of the beauty and the beast.These artisan cups have a decorative function, they can be used simply to decorate, to put a candle on them, to use them as a toothpick, or for the use that each one wants to give. 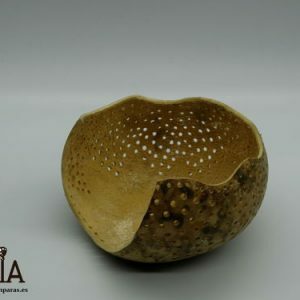 You can even drink coffee from it because I have done it myself, but it is not its main function.We have 3 different styles of cups, depending on the type of pumpkin we use. 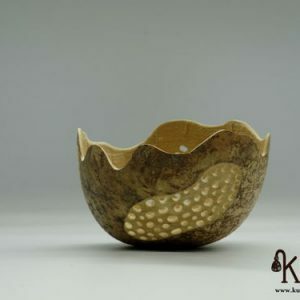 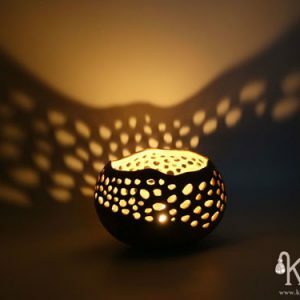 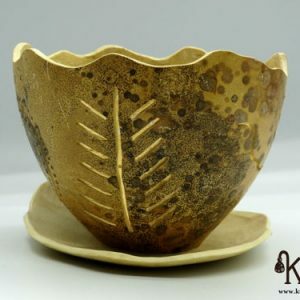 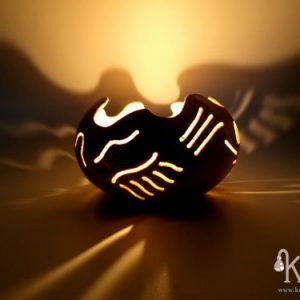 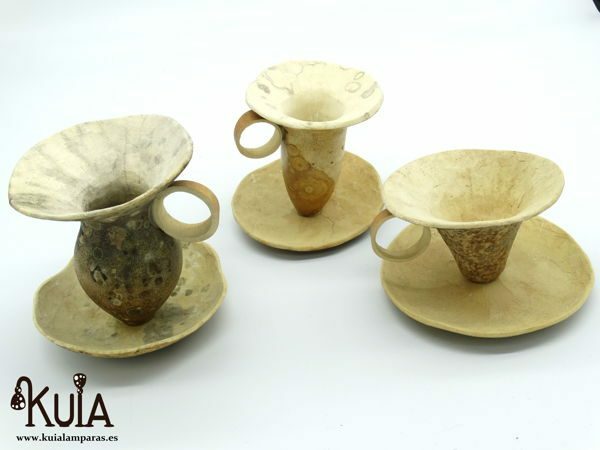 It can be seen by the bodies of each of the cups, some are rounded, others are flat and stretched, and the others are flat but short.Choose the one you like best and decorate your house in a natural way with these beautiful decorative cups that we make in kuia lamps.